A few weeks ago I met with the Your Wild Life team to help with one of their new New York City based research projects. 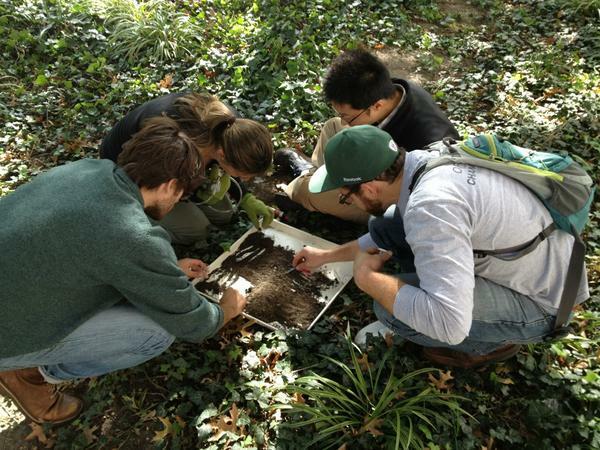 They’ve been working with urban ant species in the big apple for awhile, but just recently started a new project assessing the responses of arthropods to the disturbances caused by Hurricane Sandy. You can read more about this, pretty amazing, research study in a write up on NC State’s site here. 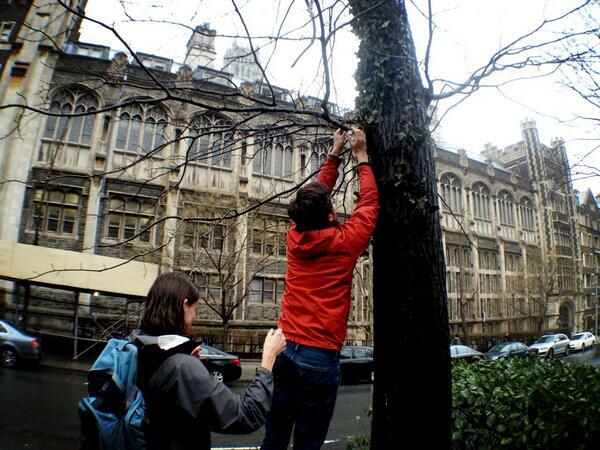 Placing an ‘iButton’ sensor in a median street tree. For a few days during their 2 week NYC field session in March, I met with researchers Elsa Youngsteadt and Lea Shell to set-up the primary data collecting tools and survey Broadway medians that would be used in the study. I’m working closely with Lea on my thesis – which involves designing & piloting curriculum for their School of Ants project – and was able to use this field time to discuss science & education as well. Sifting out ants during a median collection.